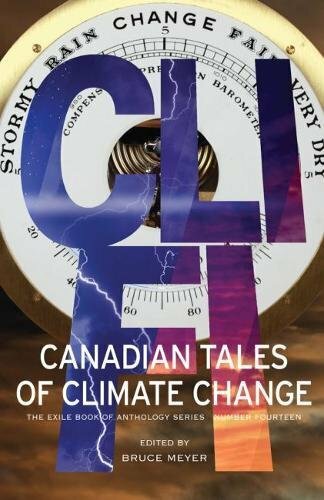 I’m pleased to have a story in the fourteenth* of Exile’s anthologies, CLI-FI: Canadian Tales of Climate Change. With the world facing the greatest global crisis of all time – climate change…These stories of Climate Fiction (Cli-fi) feature perspectives by culturally diverse Canadian writers of short fiction, science fiction, fantasy, and futurist works, and transcend traditional doomsday stories by inspiring us to overcome the bleak forecasted results of our current indifference. I hope my story, “The Weight of the World”, serves to inspire. Together, it’s not late. *You can find another of my stories in Exile’s twelfth anthology, Clockwork Canada.